PHOTO BY JILL GOSCHE Firefighters work at the scene of a house fire at 231 Sandusky St., Fostoria, early Tuesday morning. 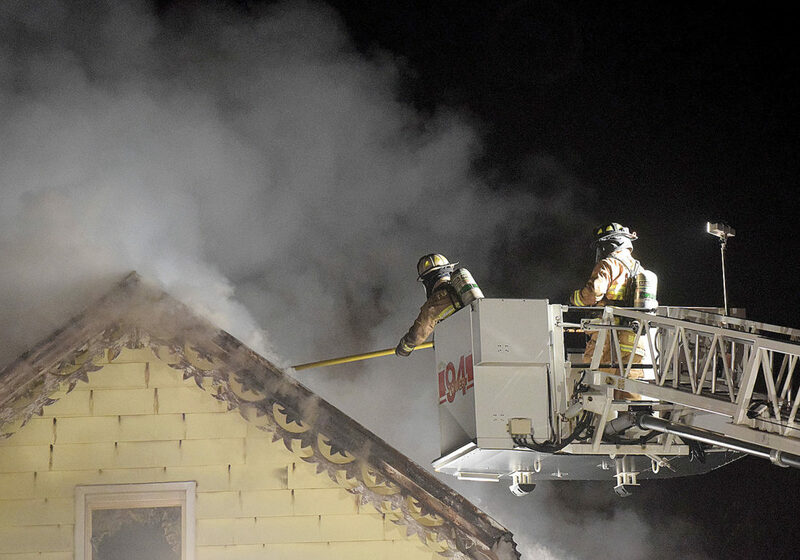 FOSTORIA — A house that had burned about a year ago was destroyed in a fire early Tuesday morning. 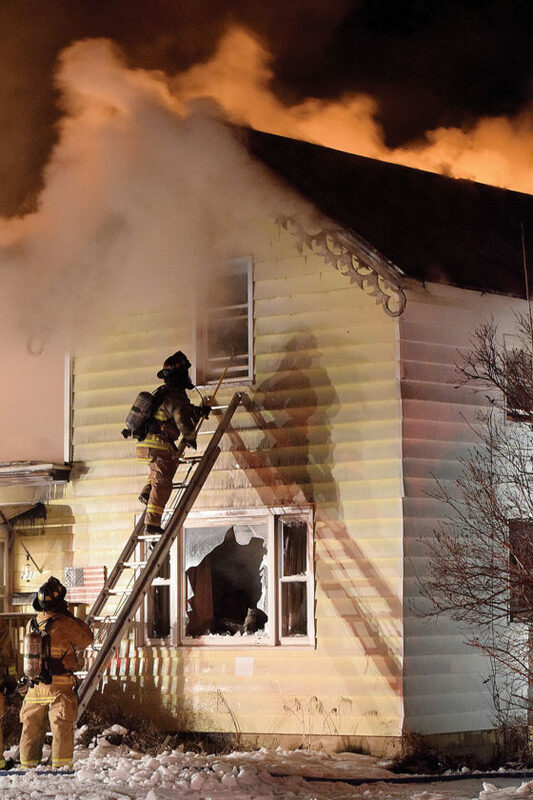 The fire at 231 Sandusky St., Fostoria, was reported about 12:30 a.m., and Fostoria Fire Division and Fostoria Police Department responded. Three people are serving time in prison in connection to an arson at the property in October 2016. Interim Chief Brian Herbert of Fostoria Fire Division said the owner of the house told him he was remodeling the house from the previous fire. He said he was not sure whether the owners were living there during the remodeling project, but they were not there at the time of Tuesday’s fire. Herbert said it was a difficult fire to fight. “It’s an older home,” he said. Herbert said the crew was pulled out of the home. “The conditions became unsafe,” he said. Firefighters then fought the fire from outside the house. The fire burned for more than nine hours, and the house was torn down by Posey Excavating Tuesday. Herbert said the fire started in the basement. There was too much damage, and the cause was ruled undetermined, he said. No one was hurt. Herbert was told there were three cats inside the house, but firefighters never found them. The house is owned by Burnelleane Bowers, according to the Seneca County Auditor’s Office’s website. American Red Cross was contacted. Fostoria Fire Division summoned everyone into work. Bascom EMS and Tiffin Fire Rescue Division responded to Fostoria to standby at Fostoria Fire Division’s station. An ambulance was requested in Fostoria several times as Fostoria Fire Division fought the fire. Community Emergency Response Team blocked traffic around the scene.